About a 1 1/2 mile hike out over the ice from Meyers Beach on Lake Superior. This is a picture I made at the Ice Caves on lake Superior along the Wisconsin north border. 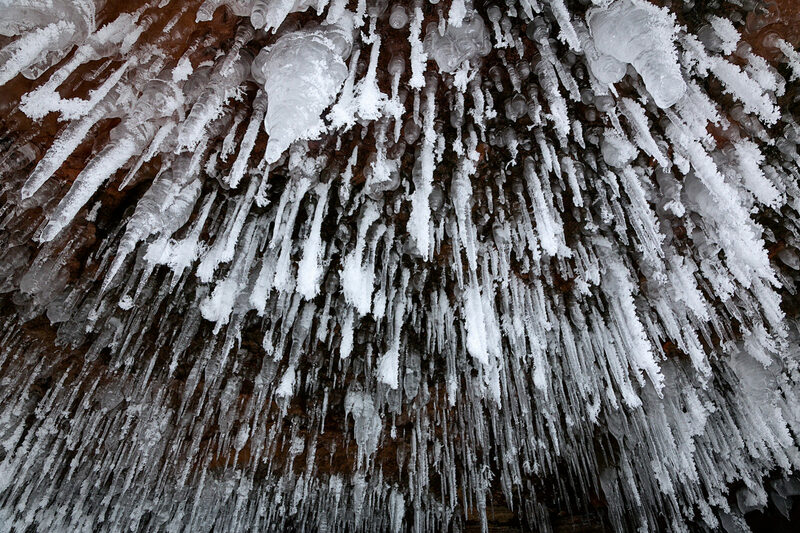 I was inside one of the caves and this was the view looking straight up which was quite impressive to see. I knew I wanted to capture a few shots of these ice icicles.